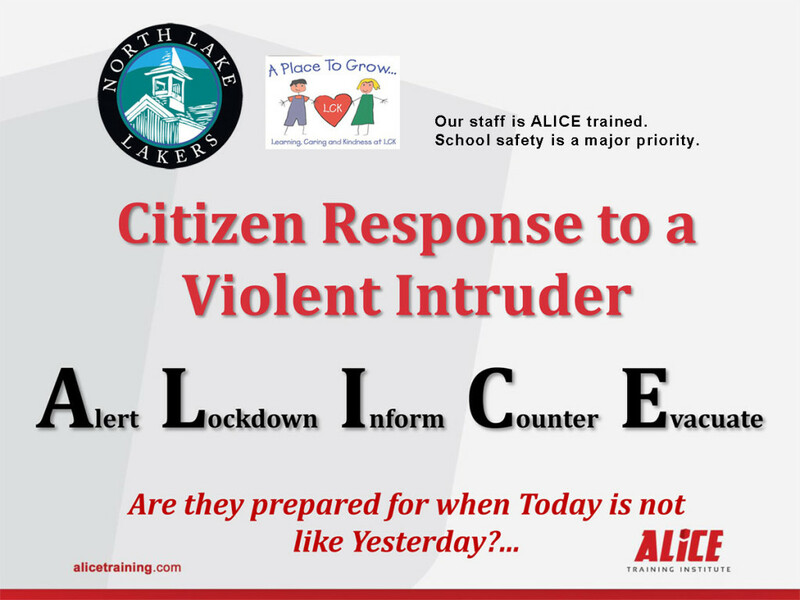 The North Lake School staff is committed to keeping our students safe. We are working on being prepared and confident in any situation. We believe in community partnerships with the Waukesha County Sheriff’s Department, Merton Community Fire Department, and other community organizations. On a monthly basis we practice fire and lockdown drills. On an annual basis we practice tornado/severe weather and evacuation drills. In the case of an all-school evacuation, Saint Teresa of Calcutta’s Parish Center is our reunification point. In the event of an extreme situation, we would bus the students from Saint Teresa of Calcutta to Arrowhead High School. Communication is critical in any emergency situation and North Lake School will use our SchoolMessenger broadcast system, email, and website to let families know what is going on. Finally, our facility adheres to the state guidelines for school safety, and we encourage you to contact administration with any questions or concerns.